What Do You Mean by Christmas Waste ? Yes, the time has finally come and Christmas is coming in less than two weeks. It’s perfectly fine to be excited about it. Don’t feel weird that you have started earlier with the decoration of the Christmas trees and that Christmas socks are already hung near the chimney. You are definitely not the only one who initiated the long-planned preparations for the world’s most popular holiday in advance. It all sounds so perfect that there can’t be anything that may disrupt your supreme moments with your family. Unfortunately, if you underestimate the global scale of the impact that Christmas has on the environment, it’s possible to spoil your most favourite holiday. Imagine all the consumption before and during Christmas. What do you think happens afterwards to all the waste that has been produced ? Being the source of all the joy in your household, the Christmas tree seems to have somewhat a magical influence on everyone in the house. Until it eventually turns into an object for waste disposal and becomes a burden. 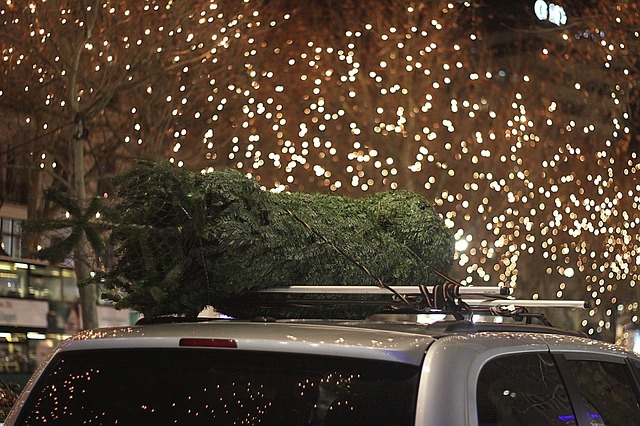 An estimate of 40 million Americans tend to buy the symbol of Christmas and use it as a decoration. Up to 80% of the trees go to the landfill instead of being recycled. That invaluable natural resource produces the most precious supply for human beings – the oxygen. And we ignore that fact and cut them down every year, repeating the most non-ecological and unnecessary action in human history again and again. Use an artificial tree instead, you will do good to the environment and will surely produce less waste. If that is not satisfactory to you then just do it, get the Christmas tree your children beg you for but do make sure to call a rubbish removal company afterwards which will take care of your refuse responsibly. 4 million dinners. That’s not how much Britain’s nation consumes during Christmas though. It is the number that approximately tells how much food is being thrown away despite being perfectly edible. It’s sure enough to feed everyone who’s hungry at that time of the year but it becomes part of the food waste statistics instead. 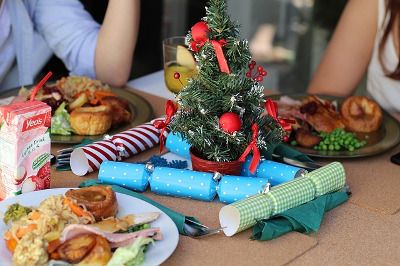 Very small per cent of the population takes into consideration the fact that during holidays we buy more food than we actually need. Its variety is the key factor that leads to tons of it not being eaten. We want to have all sorts of meals on the table but the human digestion system is not capable of processing that much. Being organic material, when food is treated as rubbish it starts decaying and that emits methane which is the most dangerous greenhouse gas. To prevent that try not to cook more than you need. In addition to this, what is more important is to dispose your waste by following some really wise waste management tips. Biodegradable packaging, paper and bags have become a reality long ago and have proven very effective in waste reduction. 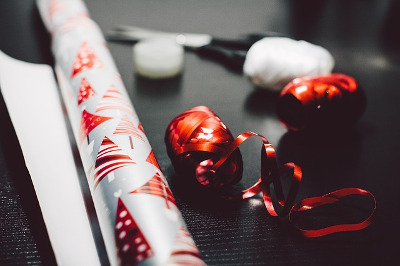 However, most of us ignore that and continue to wrap presents in materials close to plastic, and paper. Even though these are recyclable, when they get mixed and covered in paint this becomes a problem and that material cannot be recycled any more. I advise you to reconsider what packaging you’re going to use for the presents for your most lovable family members and friends. A very good solution to reducing paper waste is to look for cards made of reusable or recycled paper. This will surely give an example of responsible and mature attitude to those who you’ll surprise for Christmas. That is a type of household waste you must be very careful with and be more informed about as it requires specific waste disposal. 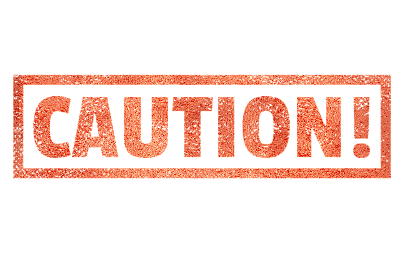 This is anything that is toxic, ignitable, corrosive or reactive and you’ll be usually warned about that on the label of any product. On Christmas a typical hazardous waste might slip into your home in the form of batteries without being recognized as such. Along with any electronic waste the batteries produce toxic substances that lurk into the soil or the water that we drink. Most rubbish removal companies will not remove your hazardous waste that’s why you have to guarantee its proper waste removal. Collect it separately from all other refuse and search for information when you local government collects the toxic waste in the area you live. This entry was posted in "Waste Management" on Sunday, December 10th, 2017 by 24/7 Waste Removal.